What is Content Management System ( CMS ) ? 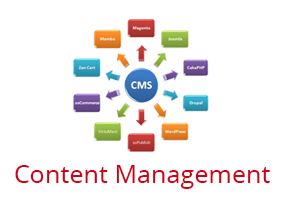 CMS – Stands for Content Management system . It is Web based application designed as such, that a non-technical User with little bit of computer knowledge can easily add , edit and manage website. You have complete control over the content of your website. Whether it is business news, blogs, events, products or prices which you want to update you can update or manage them all yourself very easily. You are able to edit, delete or create new content at the ease of a WordPad. You do not need any technical expertise in order to manage content your website. It helps you streamline your website with what’s fresh and latest. Let it be WordPress , Joomla , Drupal, OSCommerce , Zen Cart, Magento or any other CMS . Our experienced development team is familiar with each and every aspect of these CMS .We transform your website with suitable CMS solutions to make your life lot easier. We take care of your overall business needs by providing high functional, responsive web design and future proof CMS development services.